2014. Netivot. Israel. 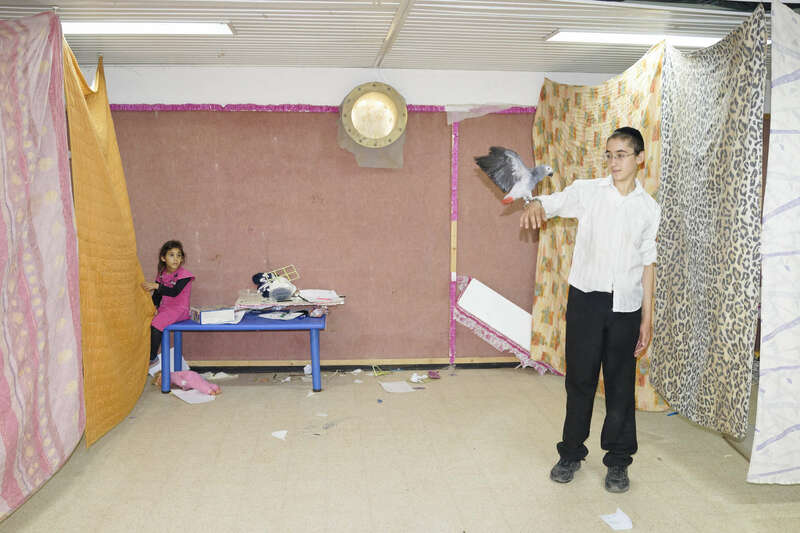 Children in a bomb shelter during Operation Protective Edge. Since 1991, houses have been mandated to be built with bomb shelters, but in the older neighborhoods communal bomb shelters are still in use. During the war against Gaza, the elderly and the young often spent their days in the shelters while their parents went to their jobs.